New Delhi (17 Aug 09): International Master Sriram Jha won the Asian Zone 3.2 Chess Championship and qualified for World Cup here at Airport Authority of India Club today. In the final round encounter Jha overcome Ashraf Ahmed of Maldives without much struggle. Along with World Cup berth, Jha also achieved his second Grandmaster Norm during this championship. Jha scored 10 points out of possible 12 and won the championship without losing a game. Meanwhile, another title contender International Master K Rathnakaran succumbed under pressure in the last round against Tunveer Gillani of Pakistan. 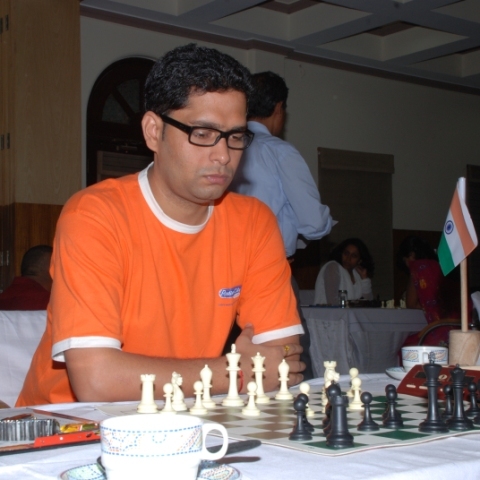 Veteran Grandmaster Praveen Thipsay finished second with 9.5 point by beating HLM Hapuarachchi of Sri Lanka. Rathnakaran and second seed Deepan Chakkravarthy tied for third spot but better tiebreak score helped Rathanakran to take the third with 9 points. In other final round encounters, Amir Karim of Pakistan defeated Surbir Lama of Nepal while Top seed Ziaur Rahman and Neelotpal Das split the points and Grandmaster Reefat Bin-Sattar easily won the match against Kesav Malla of Bhutan. 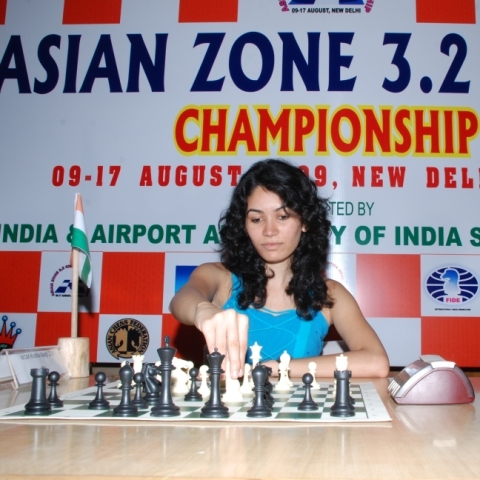 On Saturday, National Champion Kruttika Nadig celebrated Independence Day in style as she won the Asian Zone 3.2 Women title after beating Women Grandmaster Nisha Mohota in the final round encounter and secured a berth in the next world championship cycle. Nisha Mohota and top seed Tania Sachdev tied for the second spot with 4 points each but better tie break score helped Tania to finish second while Nisha satisfied with third spot finish.